I bought this because I love the smell of cranberries, and I continue to look for a great cranberry scent. I'm still looking. This is a somewhat watery fruity-floral with the accent on cranberry. While it's not the children's juice of Nanette Lepore (probably because Chris 1947 doesn't also contain raspberry), it's quite generic. The watery lily aspect here makes me think a bit of Ralph Lauren Turquoise, which is also not a favorite of mine. Lasting power is low. I really dislike it when people rate bottles based on their photographs without having seen them in real life. 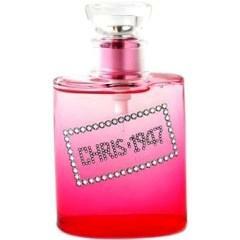 Chris 1947 is a perfume where there is a sharp difference between the two. The photo here makes the bottle look reasonably glamorous. In real life, it has a cheesy decal on it, totally unworthy of the glamor that Dior tries to portray. Write the first Review for Chris 1947!